I have the bamboo version of the Exocet WINDSUP 11'8 - great board for windsurfing in marginal and difficult chop. Exocet appear to have brought out a lighter model called "pro am" with some carbon and some lighter fiberglass. It is also marked with "Foil Compatible" on the tail. The obvious question - has anyone tried foiling on a longboard, or even on this board? Anyone with some predictions on how well this would work? Only the 10' has the foil box, but it would be a substandard foil board. Even 8' is borderline for foiling with most under 7'6". aahh! looking at the photos - did not read the specs. Cheers! Would still be interested in anyone's experiences foiling a longboard. I've foiled 270cm, 250cm and 235cm boards. Once you are flying the shorter and lighter the board is the better. Both swing weight and surface area up front are problematic. The weight causes pitch and yaw control to be too slow so you can get into an overcorrection. The surface area makes any shift in wind push the nose around. Adding length increases the lever arm that both these forces act through. The only advantage length has is a slightly more forgiving touch down but rail design is solving that without the negatives. advantage of 10' windSUP is obvious for those with limited space or budget. "lighter model called "pro am""
The listed weight of the first generation 10' bamboo is 12.9 kg (28.4 lb). I have one. The latest and greatest 10' is heavier. bamboo - 14.5 kg, pro - 13.5 kg. They are going backward. Please explain how a brand new ($$$) long (10') board makes effective use of either money or space? 3. one board for ALL WINDS. angles, launches, strengths, consistencies. 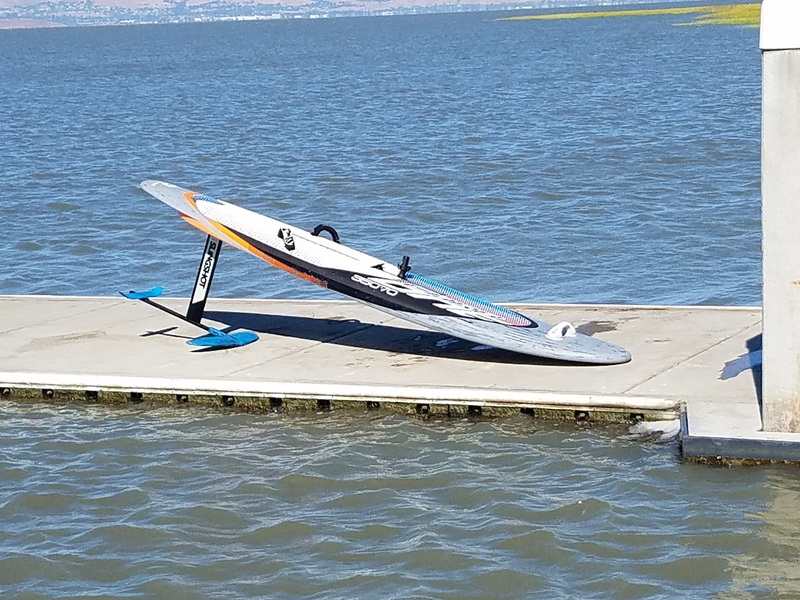 lots of folks on this forum, including me, have budget/space for lots of boards/sails, fins, etc. most folks in the world do not. one politician, said windsurfing was an elitist sport, i think it was buchanon. grantmac, i will not rise to whatever bait, or attacks you are making. this forum is rife with strife enough.